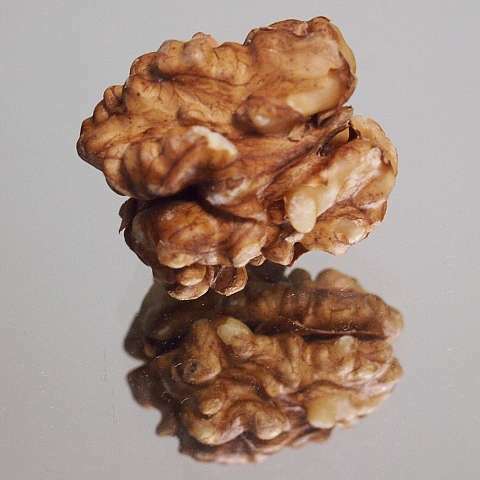 Research led by Lauri Byerley, PhD, RD, Research Associate Professor of Physiology at LSU Health New Orleans School of Medicine, has found that walnuts in the diet change the makeup of bacteria in the gut, which suggests a new way walnuts may contribute to better health. The findings are published in The Journal of Nutritional Biochemistry available online. "Walnuts have been called a 'superfood' because they are rich in the omega-3 fatty acid, alpha-linoleic acid and fiber, and they contain one of the highest concentrations of antioxidants," notes Dr. Byerley. "Now, an additional superfood benefit of walnuts may be their beneficial changes to the gut microbiota." Working in a rodent model, the research team added walnuts to the diet of one group. The diet of the other group contained no walnuts. They then measured the types and numbers of gut bacteria in the descending colon and compared the results. They found that there were two distinct communities of bacteria in the groups. In the walnut-eating group, the numbers and types of bacteria changed, as did the bacteria's functional capacity. The researchers reported a significant increase in beneficial bacteria like Lactobacillus. "We found that walnuts in the diet increased the diversity of bacteria in the gut, and other non-related studies have associated less bacterial diversity with obesity and other diseases like inflammatory bowel disease," says Byerley. "Walnuts increased several bacteria, like Lactobacillus, typically associated with probiotics suggesting walnuts may act as a prebiotic." Prebiotics are dietary substances that selectively promote the numbers and activity of beneficial bacteria. "Gut health is an emerging research area, and researchers are finding that greater bacterial diversity may be associated with better health outcomes," adds Byerley. The researchers conclude that the reshaping of the gut microbe community by adding walnuts to the diet suggests a new physiological mechanism to improve health. Eating walnuts has been associated with reduced cardiovascular disease risk, slower tumor growth in animals and improved brain health. The research was supported by the American Institute for Cancer Research and California Walnut Commission.